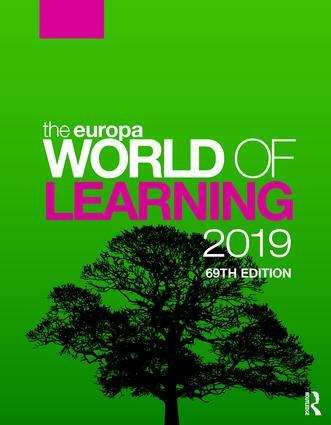 Now in its 69th edition, The Europa World of Learning is one of the world's leading reference works. Updated to the highest editorial standards, entries are sourced directly from the organizations to ensure accurate and reliable information. The accreditation status of every university and college is verified before its entry is approved. Subscribers may download these online at www.worldoflearning.com alongside an archive of essays from past editions.